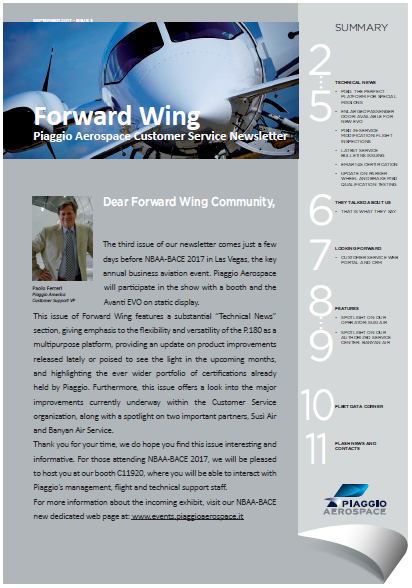 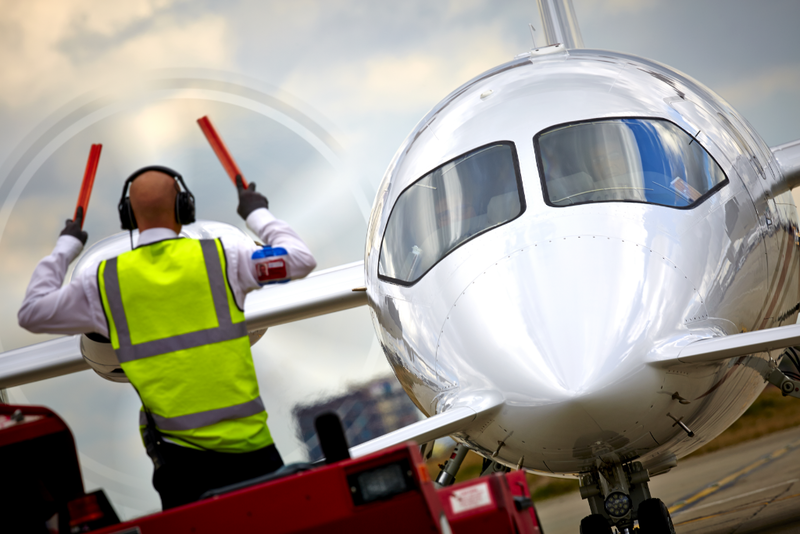 Piaggio Aerospace Customer Service is a full-fledged organization providing Customers with a wide array of support services. 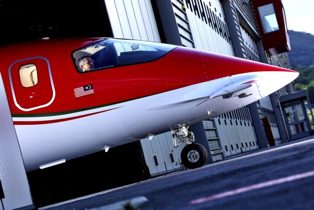 As the original manufacturer, Piaggio Aerospace's essential understanding of its aviation products and the unique expertise of its Customer Service team, consolidated throughout decades, ensures the most qualified support source through the aircraft lifecycle. 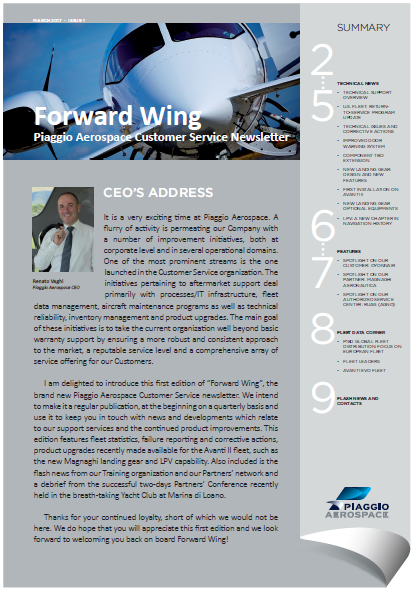 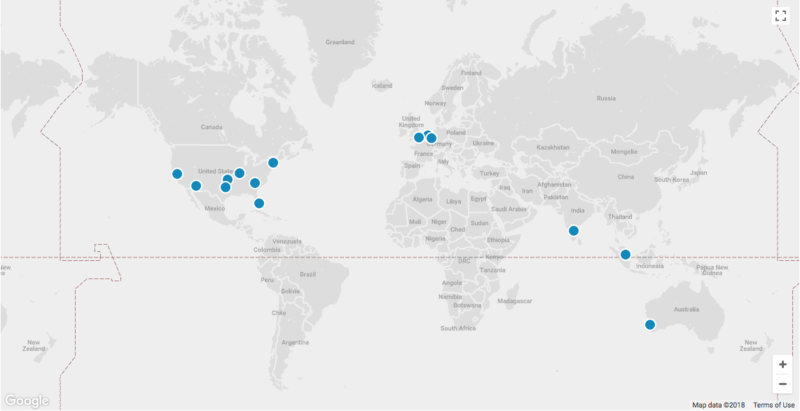 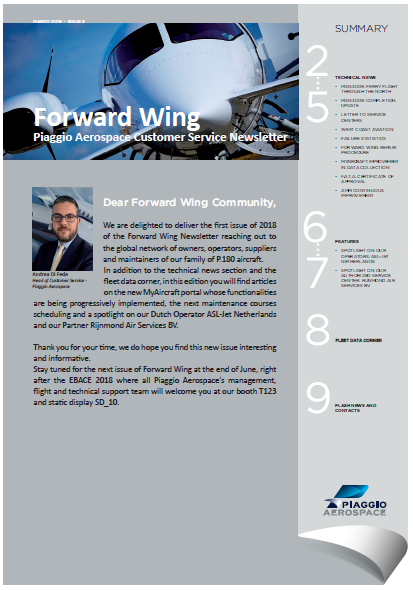 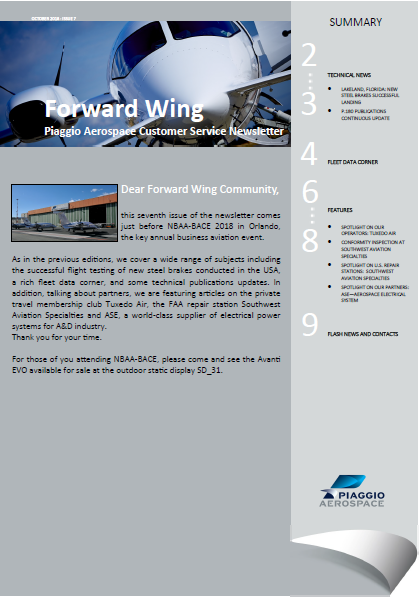 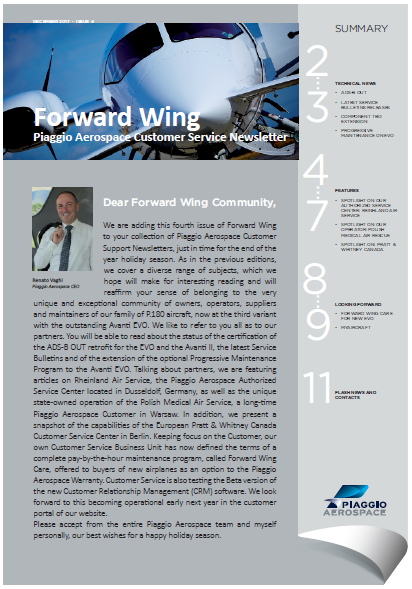 Headquartered in Genoa, Italy and with a branch in Ft. Lauderdale, FL, the renewed Customer Service organization is in charge of providing worldwide aftermarket support solutions for the business aviation and defence and security products of Piaggio Aerospace. 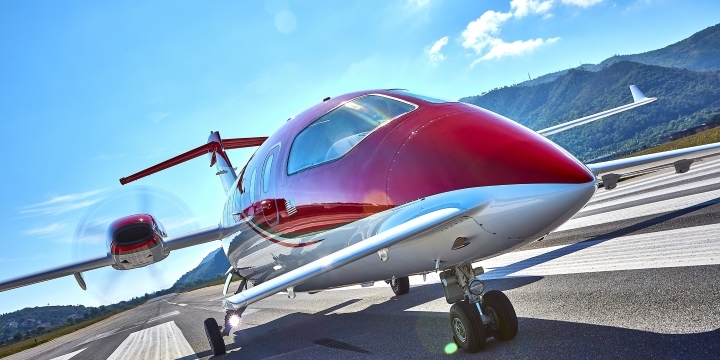 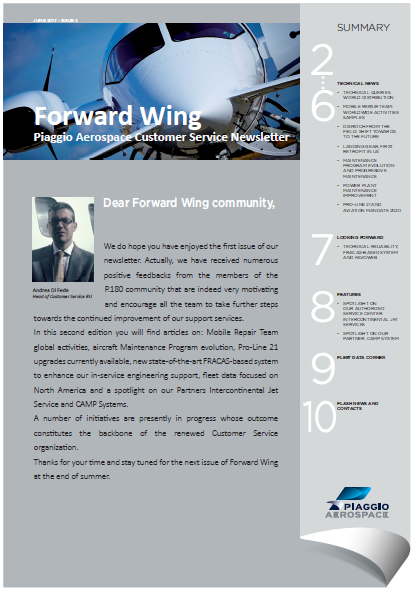 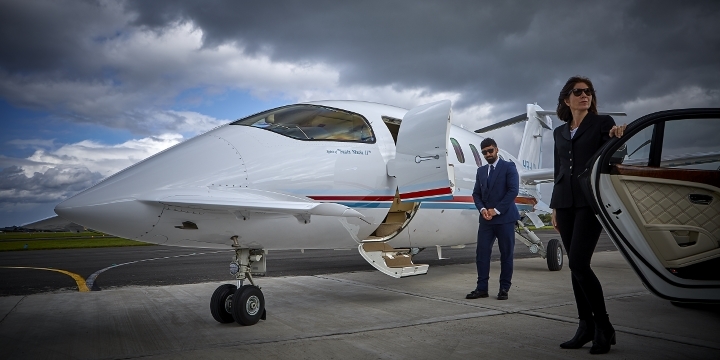 The team composed of experienced professionals who are united by a genuine passion for aviation and Piaggio Aerospace distinctive products as well as a common goal to help Customers fly safely and efficiently is at the core of the Customer Service organization. 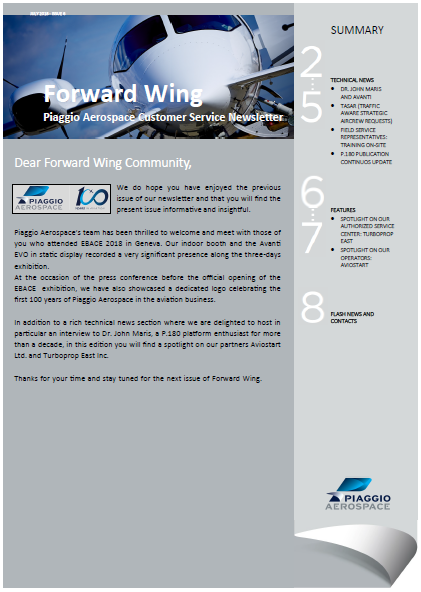 The flexible and wide array of support solutions provided by Piaggio Aerospace spans from basic services - spare parts, engineering services, technical on-site support, technical documentation, flight and maintenance crew training - up to integrated lifecycle solutions.